This 'Pro' version of the Q6 Smart Chargers improves on the previous Plus model by bringing support for BattGo Technology - more info about that here. Small, powerful, portable - probably one of the best mini chargers on the market. As its pocket size, it serves very well as a field charger. You don't need a dedicated DC power supply to use it, simply hook it up to your car battery and you'll be charging in seconds. If you have larger LiPo packs you could run it off those too. The interface is super slick and the one touch scroll button makes navigating the menus easy. The display is bright and readable even in direct sunlight. The charger itself is compatible with pretty much any kind of battery even LiPoHV packs. If your batteries use XT60 plugs you can connect them directly without an adapter. The Q6 has lots of function including charge, discharge and storage modes as well as accurate voltage readings and internal resistance measurements. 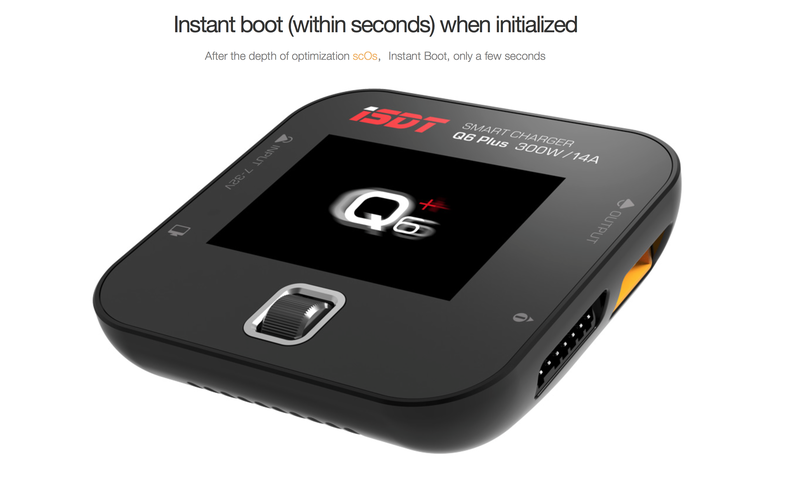 The ISDT Q6 is great value for money and a charger that we give a 5-star rating too. Please note the Q6 isn't a mains (AC) charger, you'll need a DC power source 7-32V to use it. Our recommended power supply is the SkyRc eFuel 380W. Super small, easily stowed in your pocket. 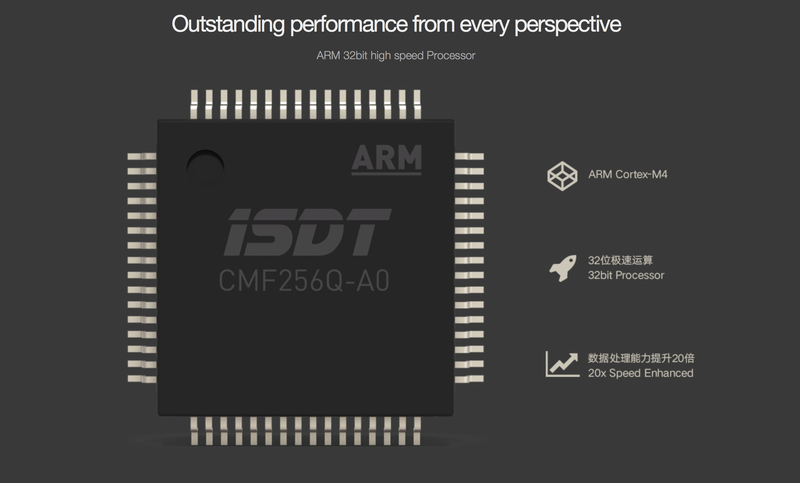 ARM 32-bit CPU, high speed processor. 2.4 inch IPS display, still visible under strong sunlight. One key control makes operation easy. Bright, colourful, easy acess status display. 3rd generation smart balance charger with great accuracy. Shows IR of each cell while pack is charging.